Discussion in 'Auto News' started by GTPNewsWire, Sep 11, 2018. This article was published by Joe Donaldson (@Joey D) on September 11th, 2018 in the Automotive News category. So when could we see the new Z car? As of right now, the 2019 Tokyo Motor Show looks likely. 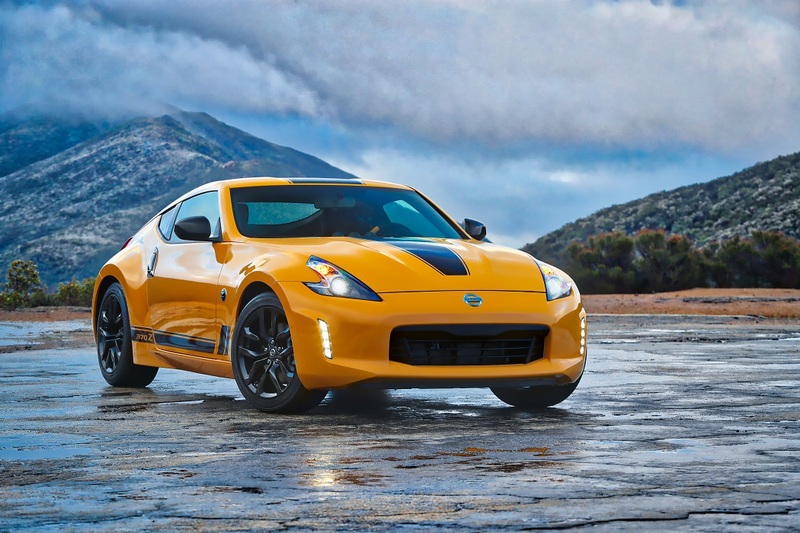 There was already rumors of next gen Nissan Z concept to be shown at 2017 Tokyo Motor Show. Is it the next Zet or the next Zee? So the Infiniti QX50 moved to a front-wheel drive platform for its current generation, so this means either Nissan or Infiniti will need a new RWD crossover for this to make sense, since I don’t imagine the Q50/Skyline and Z are making too much profit themselves. Then again the same RWD platform has been in use more or less since 2001 so they’ve had to have mostly recouped the costs by now. I imagine the Z will use a 2.0T to compete against the Mustang and the traditional V6 to go head to head with the Supra. Not producing a 4 cylinder variant would be foolish. A hybrid version of some kind also makes sense, whether it’s a bottom or top of the range. I don’t think the majority of people care if more efficient/affordable powertrains are added to the range of any car as long as the traditional one is still available. I suspect I'll have to sell my Z just after this announcement otherwise it'll drop a ton in value when it's released! 05XR8 and ferhound like this. Wasn't it sorta confirmed before that the next Z would be an SUV? And while I wouldn't mind something like the fanmade Z-Vision too much, I also doubt they'd go in such direction with the future Z. Anybody wanna take bets on when this one will go out of production? I'm thinking 2033 if the world can avoid a major catastrophe. Whatever the next Z will be called, the 3.0T offered in the Infiniti Q60 does seem like a good bet for the engine. If it does they should call it the 300ZX again. Regardless, the current Z is definitely old. While we're at it I'd say the GT-R is also due for a full redesign. I'd rather they work on a new S-chassis. Z-cars are just getting tubbier with each new release. GranTurismo guy, Hayden, TexRex and 1 other person like this. It's about time, for Christ sake. If you think the Z has had it bad, the Frontier would like a word with you. Come to think of it, the Versa ad Sentra are becoming obsolete, as both haven’t seen a major update since 2012. 2020 for both. In fact, 2020 and 2021 will see A LOT of changes in the lineup. The most insane part of all of this is that when I see a 'new' Frontier, I don't actually think it looks dated. They still look pretty decent, especially in king cab form. They still look pretty decent, especially in king cab form. VXR, 05XR8, Eunos_Cosmo and 1 other person like this. The original 350-horsepower 3.7-liter VQ37VHR engine was replaced by a factory 3.0-liter VR30DDTT twin-turbo V6 rated at 400hp. Hopefully the next gen. borrows some styling ques from the Z32. Found a '12 base 370Z for $26kAUD. '17 NISMO $55kAUD. Cheapest R35 is about $75k. Wonder how much that kit would cost fitted. For sure. Still curious to know.